Wind energy is one of the fastest-growing renewable sources of energy. Its growth in the energy industry is as big as 30% annually. Its growth is said to be a result of the increasing pressure from the governments all over the world. This is focused not only on the big companies but also to individuals since everyone has an impact on the environment. 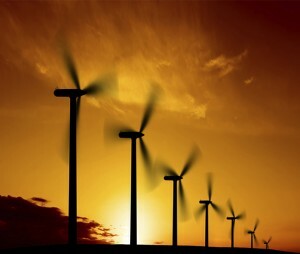 Wind power is derived from the force and the velocity of winds. The turbines are specially built to convert the wind’s force to clean energy which is supplied to households through electricity. The whole process does not include the use of fossil fuel and does not emit greenhouse gases that contribute to the global warming phenomenon. The use of wind energy is converted into mechanical energy that powers turbines which generate electricity. Power that can be converted with the use of wind turbines. Energy that can be use to power a house or grind grain and to pump water efficiently. Wind turbines are like giant version of an elise of a plane. Its main purpose is to make power out of the wind. The turbines consists of a blade converts the energy of the wind. A drive drain acts as a generator.While, the tower supports the blade and the drive drain. If you have noticed turbines are aligned together to produce bulk energy, that is distributed to a power grid and then to the consumers. Turbines actually range in size, some are as big as a 20 story building and some are as small as a basketball and can be put on top of a roof. What advantages do we get with wind powered green energy? The energy is recyclable and the supply wont go down, meaning since wind is everywhere around us. We have a stable and never ending supply. Its also a source of pollution free electricity. In the last 10 years the initial cost has drop. In China, alone they have spent more than a billion dollars in the past year setting up wind turbines around its coast. Cheaper to maintain equipment compared to using fossil fuel energy source. The 21st century, ushered in more usage of green energy source. It is projected that by the year 2050 we will be getting most of our power from sustainable, green energy sources like wind power.